In trying to be more reasonable with my spending this year, I really made an effort to only buy the songs I had to have this year. So that meant previewing everything on YouTube several times before actually committing to the purchase. Turns out that was only 379 new songs this year added to iTunes. Only, ha! Still, it’s far less than last years 517 so I guess I can pat myself on the back a little. For the most part I was left to my own devices in finding *new music again this year (boy do I miss the days when other people corrupted me) but I actually did look this year and didn’t just rely on all the bands I already loved releasing new things (though they did that, too!). Of the *new bands I discovered, I had two favorites, both Christian artists in two very different genres than I typically gravitate toward (which is heavy rock, in case you didn’t know). I found myself listening to this Christian radio station NGEN a lot this past summer, for the upbeat, God-centric lyrics, to get me through those 13 hour workdays with a positive attitude. And in doing so, I discovered all kinds of Christian artists I’d never heard of before, Andy Mineo being one of them. What struck me the most about him, though, wasn’t necessarily that he was a Christian artist (I mean, that’s an awesome bonus, don’t get me wrong), but that he was such a skilled rapper on killer beats. It’s been a really long time since I’ve gotten super into rap. I grew up in the 90’s when rappers actually had talent and outside of the stuff with catchy beats that get trapped in my head, I just can’t get into the crap that qualifies as rap these days. But Andy, ooh, he’s actually got talent. And lyrics with a real message. This combination makes him addicting to me. 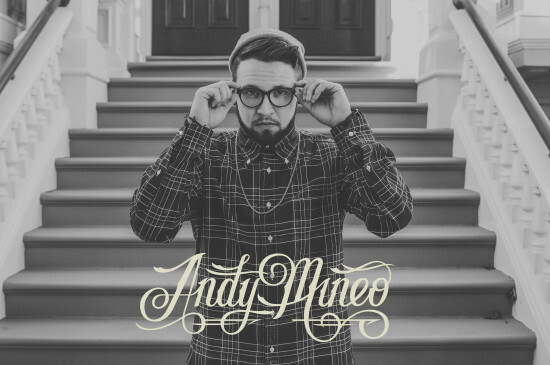 If you haven’t heard of Andy Mineo, he’s definitely worth the listen. Click HERE! This is another band I discovered thanks to NGEN and my first taste of them was this 80’s-esque track that was impossible not to bounce along to. Upon further research, I found myself buying everything they had online and loving so much of it equally that there are 5 Citizen & Saints tracks in my top 20 most played tracks this year. Even their Christmas album is a perfect collection of songs. They’re the kind of indie band you can’t help but sing along to. The kind of praise band I wish my church had. Whenever I’m jamming to Citizens & Saints I always find my hands in the air reaching for God. I just can’t help it. It’s something about how the instruments get inside of me and how Zach Bolen has a perfect voice for this style of music. If you’re in need of feel good, happy making music, you must check out Citizens & Saints. Click HERE!